Melva Tate, Tate & Associates, LLC. She also recruits, coaches and owns an award-winning business according to the “PITW” rule. Melva’s been putting in the work for more than two decades, serving as the Director of HR & Administration for two start-up organizations, before launching her own company. She’s a radio personality, best-selling author, and a feature writer and contributor to leading newspapers and magazines including, HR Magazine, Black Enterprise Magazine, and the Birmingham Business Journal. In 2008, Melva followed her dream and launched Tate & Associates, LLC. She manages three unique divisions: Strategic HR Partnerships, Career Touchdown and Melva Tate Speaks. The firm specializes in executive talent searches, human resource consulting, training and development, and career coaching to businesses, universities and nonprofit organizations. Tate & Associates’ success stories include clients like The United Way of Central Alabama, YWCA, YMCA, REV Birmingham, Mercedes Benz, Taziki’s Café, Birmingham Business Alliance, Birmingham Education Foundation, City of Irondale, City of Tuscaloosa, City of Tuskegee, Alabama Public Television, Miles College, and Alabama A&M University. But Melva believes that work must extend outside the office and into the community. As an activist, executive advisor, and often board member, she volunteers her time and energy with United Cerebral Palsy of Greater Birmingham, Alabama Workforce Development Council, Jefferson County Workforce Development Board, and Alabama Women In Business. She is the 2018 President for The Birmingham Women’s Network. She is also a past two-term president and current senior advisor for the Birmingham Society for Human Resource Management and serves as the District 2 Director for ALSHRM – State Council. Putting in work like this leads to an impressive list of credentials, including a B.S. degree in Human Resource Management, an Executive MBA, Certified Life Coach and Professional in Human Resources certifications. It’s also earned Melva the BSHRM Leadership Excellence Award, recognition as one of Birmingham’s “Top 40 Under 40” Professionals and Best Minority Business Honoree by the Birmingham Business Journal, and Cox Media’s Best in Minority Business Winner. While Melva’s official title is Human Capital Strategist, she’s best described as a networking master and high-energy coach. Her passion is seeing people and companies flourish, and she is driven to nurture dreams and cultivate relationships. While paying clients keep the lights on, Melva also accepts the currency of handshakes, hugs, and Facebook friend requests. Women in business, hit home runs…sometimes they just don’t know it. With a journalism degree and a background in national advertising product startups, somehow Sherrie became the only female owner out of 160 affiliated minor league baseball teams. Initially, all she did was offer to help her then-husband chase his dream of owning a team. Since then, she’s taken her entrepreneurial skills and female instinct to a male dominated world and has helped develop 9 stadiums across the country. Sherrie started a team in 2004 that many from the Southern Region have heard of -The Montgomery Biscuits, an AA affiliate of the Tampa Bay Rays. She is used to what it’s like to second guess management decisions in today’s world or feel torn when your male counterparts don’t always agree. She’s become acutely aware that women have unique talents, but sometimes feel they are on an island or for her in an “outfield”, all by themselves. Sherrie has benefited from many industry accolades. These include being named AA team of the year, voted in the Top 20 sports venues in the U.S., best team name by Sporting News and winning Citizen of the Year in Montgomery, …all of this, despite her Yankee in a skirt, status. Sherrie's war stories will surprise us; her entrepreneurial passion and talent will impress and delight us. The wisdom she has acquired will help us all. Michele Tynes Napier, Chief Revenue Officer, oversees Revenue Management for both acute and non-acute entities, Care Management and Managed Care for Orlando Health. A graduate of Florida International University (BBA) and University of Miami (MBA), Michele has been in the health care industry for 30 years including hospital, physician, reimbursement, managed care negotiations, strategic pricing, and health plan operations. She has experience in leadership roles across multiple markets throughout the U.S. and Puerto Rico. She is a Fellow HFMA and certified in Managed Care. She is active both nationally and in the Florida chapter HFMA serving as the Director of Administration. In 2017, she was named one of the Revenue Cycle Management Leaders to know from Beckers Healthcare. John P. Mendez is currently the Corporate Director of Revenue Optimization for Orlando Health. He has over fifteen years experience in various aspects of healthcare administration, finance and revenue cycle within health systems in Florida, Ohio and Tennessee. Mendez is focused on consumerism in healthcare and pricing strategies. He has led detailed analysis in the areas of managed care and reimbursement. Mendez holds a Master of Health Services Administration degree from Xavier University and a Bachelor of Arts degree from University of Tennessee. 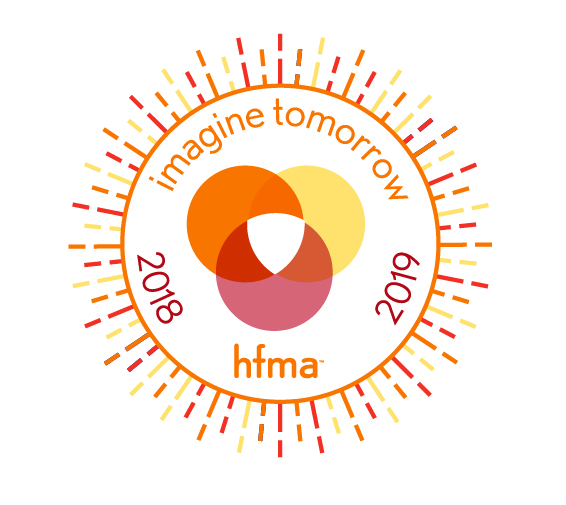 Mendez is a Fellow in the Healthcare Financial Management Association (HFMA) and is the current President-Elect for the Southwestern Ohio Chapter of HFMA.